If you need a Fort Worth electrician to do your electric repair, RCS Electrical Services is here to help. As your electrical contractor, we are commited to service. We are experienced and ready to help, call us. Your Fort Worth electrician, RCS Electrical Services, is also experienced with, swimming pool lighting and wiring, electrical service repair, generator installation, and many other electrical services. Your Fort Worth electrician is a kitchen rewiring specialist. Our kitchen lighting packages are not only beautiful, but functional. We place emphasis on your work surfaces, around the counter top, and focus our recessed lighting there, so that you have plenty of illumination right there, where you need it most. And if you want something fancier, we can give your under counter space, soft gentle lighting, which can give you more illumination when you are preparing those special meals. It also can be dimmed later, for those after meal quiet moments, when you can do without the glare. Don’t delay, call us now! If you are a builder, doing commercial construction in Fort Worth or Tarrant county, and need a commercial electrician, please call us. We have expertise in this area. 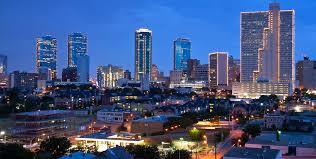 Your electrician in Fort Worth, RCS Electrical Services, can assist you here too. Or maybe you are trying to open your own business. It may be a restaurant, a store front, or a warehouse. It doesn’t matter, if you need electrical help, either wiring or rewiring these structures, contact us. Your electricians, from RCS Electrical Services will be ready to provide assistance to you. 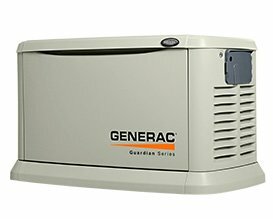 Standby generators are a necessity in your household or business, if you can’t afford to be without power, for even the smallest amount of time. Whether you have an elderly person at home, that is on oxygen, a business you run from home, or you run an operation that needs constant power, a standby generator can be a great tool to own. 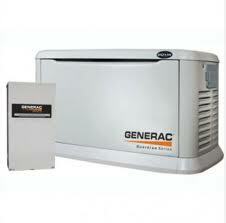 Your Fort Worth electrician is also an expert in the ways of standby generators. Whether you are having new one installed, or you require maintenance or repair for your existing standby generator, his expertise will shine every time. You will feel confident knowing that not only you planned well, but also have a strong technical support person by your side, for when the time comes to service your unit. Call our main number if you have any questions or concerns regarding standby generators. If you are home builder or contractor and need electricians, your Fort Worth electrician is here to help. Please let us know about your needs, we would like to join your team. If you manage or operate an industrial or manufacturing facility, your Fort Worth electrician can also help you with those projects. We are able to provide consulting and installation services in a variety of industrial settings, and we have extensive experience with control systems. If you have a relay logic problem, PLC related issue, or if you are assembling a conveyor system or an industrial machine, we would like to offer our services to you. We also have engineering capabilities, in case that you need an expert designer on your project. Please call the number below when you need this type of service. If you live in any of these cities, or anywhere in the Tarrant county area, and need our help, please call the number below.